The Ritz-Carlton is not the only luxury hotel brand at which upscale travelers can count on a five-star experience in beautiful surroundings. But there's no doubt that "I'm staying at the Ritz-Carton" has a particularly refined ring to it. This American-based international hotel brand is chosen by luxury travelers who expect a consistently deluxe stay. 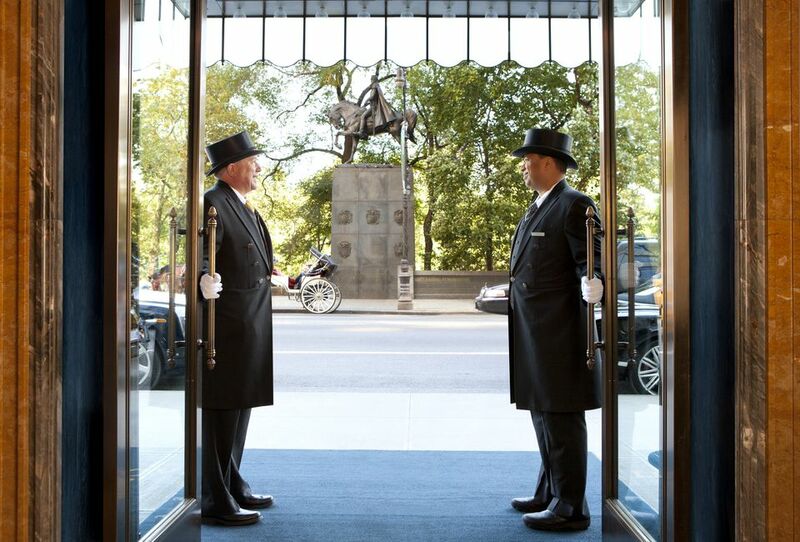 The Ritz-Carlton's renowned service has been a company priority since this historic brand relaunched in 1983. Its service has become increasingly noteworthy in the ensuing decades. ​The brand's mission is to win the loyalty of guests by treating them with warmth and respect. The company's "credo" specifically states that the authentic care and comfort of guests is Ritz-Carlton hotels' highest mission. The Ritz-Carlton service program taught to staffers is also publicly aired on the brand's "Gold Standards" web page. In a nutshell, it proposes that true hospitality is not night-by-night, but results from long-term commitments by the hotel brand, by each property, and by every staffer, with passion and with pride. Besides the overall emphasis on guest service, two particular aspects distinguish the service at Ritz-Carlton hotels and resorts from other luxury hotel brands. First, the Ritz-Carlton's Club status is a remarkable experience. Guests may pay to upgrade to Club Floor status or earn it through frequent stays at a Ritz-Carlton hotel or resort. Club status confers access to plush Club Lounges with enhanced service and lavish, nearly round-the-clock food and drink service. If you're planning to stay or have stayed at one of the locations, it's worth finding out if the Club-floor upgrade would be worth it to you. And second, the Ritz-Carlton's exceptional guest service sets it apart. The brand's hospitality style is believed by many luxury travelers to set the industry standard for five-star hotel service. Since the 1980s, when The Ritz-Carlton brand was revived through new ownership, guests have joined the brand's guest loyalty program, The Ritz-Carlton Rewards. However, as of August 2018, this program merged into one super-club for all the Marriott Corporation-owned brands, combining The Ritz-Carlton Rewards with Marriott Rewards and Starwood Preferred Guest (SPG). Members of The Ritz-Carlton Rewards will be able to earn and redeem points at over 6,500 global hotels across 29 brands while still enjoying consistent Elite (frequent guest) status recognition. New Elite benefits will be launched at the time of the clubs' merging. In addition to enhanced benefits, members will be able to earn points through an expanded network of partners including high-end tour operator Abercrombie & Kent. Members will also have the option of earning miles on over 30 airlines as an alternative to earning points from their Marriott hotel stays. The brand has forged ahead with new luxury travel offerings. It is building new hotels, particularly in China. North American luxury travelers are starting to talk about the upcoming Ritz-Carlton Reserve resorts in Los Cabos, Mexico; Tamuda Bay, Morocco; and Pearl Island, Panama. Ritz-Carlton Reserve is the brand's ultra-high-end hotel label. Currently, Ritz-Carlton Reserve properties are Phulay Bay in southern Thailand; Dorado Beach in Puerto Rico; and Mandapa in Ubud, Bali. The Ritz-Carlton is currently building three yachts to set sail in February 2020 to elegant ports around the world. Each yacht will offer 149 spacious terraced suites and splendid dining designed by Michelin-three-star chef Sven Elverfeld of Aqua restaurant at The Ritz-Carlton, Wolfsburg in Germany. The Ritz-Carlton Seoul Is in Gangnam. And It Has Style! What's It Like to Be a Hotel Consultant Like Eric Weiss?